Party Ideas by Mardi Gras Outlet: Candy Cane Wreath Upgrade! The winter season is on its way, and with it comes memories of Holidays gone by. Why not brighten up last years wreath as well, by filling it with new ribbons and glittery accents? 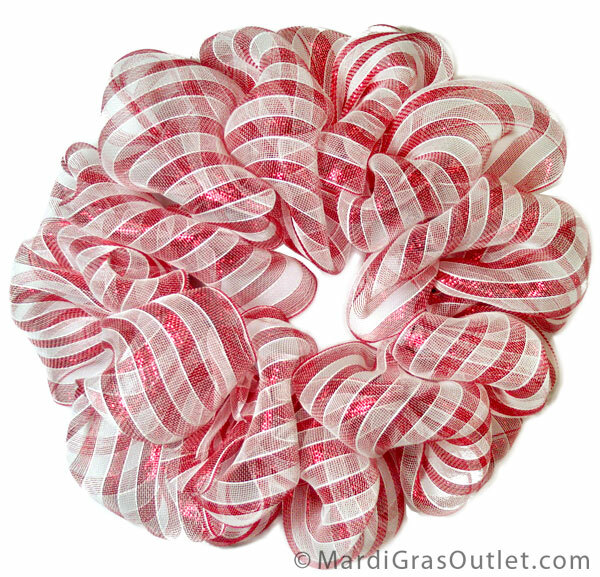 We updated one of our most popular wreath posts, the candy cane wreath, to create a fun new look for this cherished candy cane striped style. Keep reading to learn how to add in ribbon tucks for the new look. Click HERE, for the original tutorial for this candy cane wreath shown here. 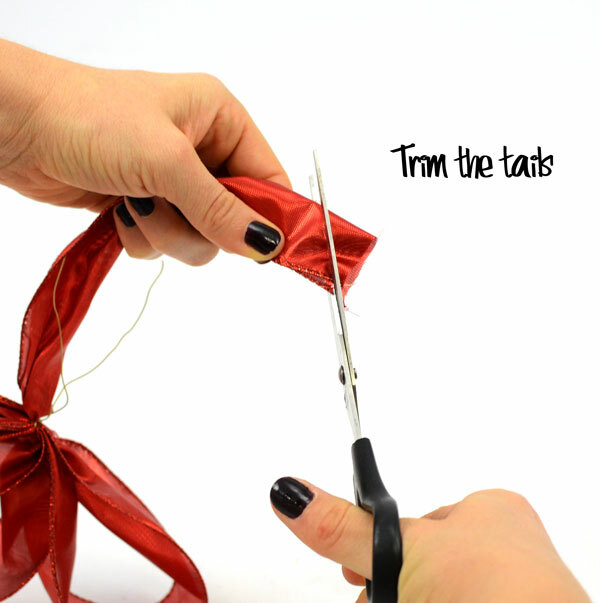 Making ribbon tucks for wreaths, tree decorations, and floral arrangements is easy. 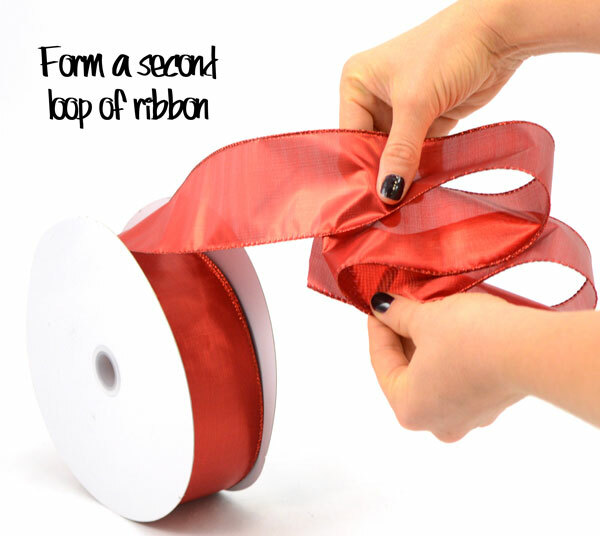 Begin by making a loop with the ribbon. 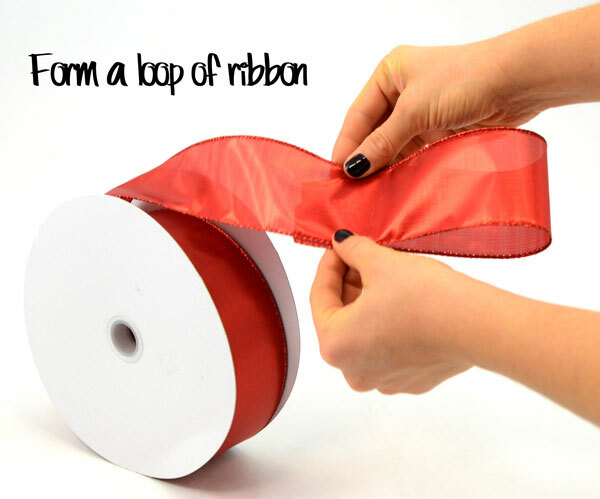 We used a 2.5" red satin lame ribbon. Make a second loop on top of the first that is slightly smaller than the first, so the layers of ribbon are visible. Grasp the ribbon folds firmly at the base. Trim from the roll, leaving extra length for the tail, (the larger the wreath you are adding tucks to, the larger you may want to make the ribbon loops and tails). 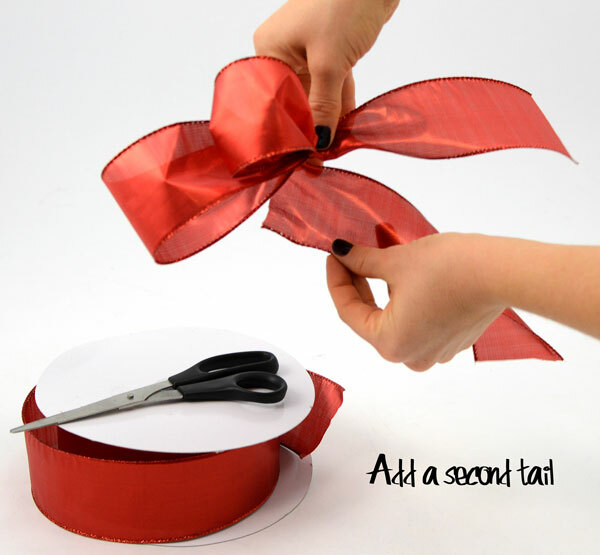 Add a second tail behind the first by trimming a length of ribbon that is at least an inch longer than the first tail. 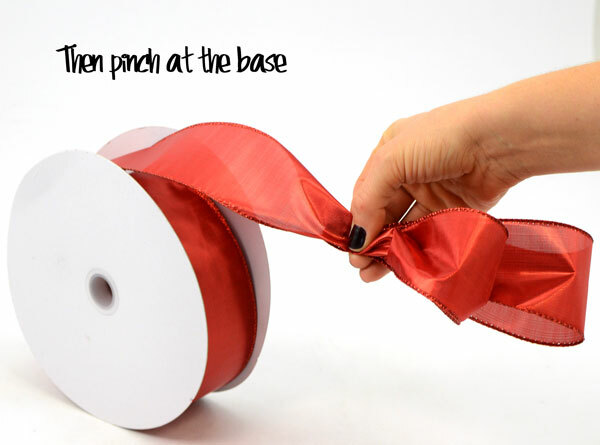 If you are adding ribbon to a work wreath, then simply place it into a wire tie. If you don't have a work wreath base, then twist the ribbon tuck into a length of wire as tightly as possible so that the tails don't slip. Trim the tails so that both layers of ribbon are visible. Voila! 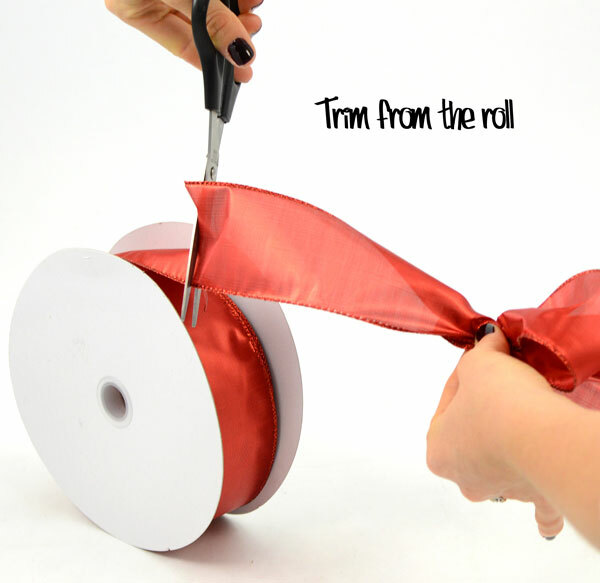 A ribbon tuck- Make a few and add them into last years holiday decor for a fresh update! 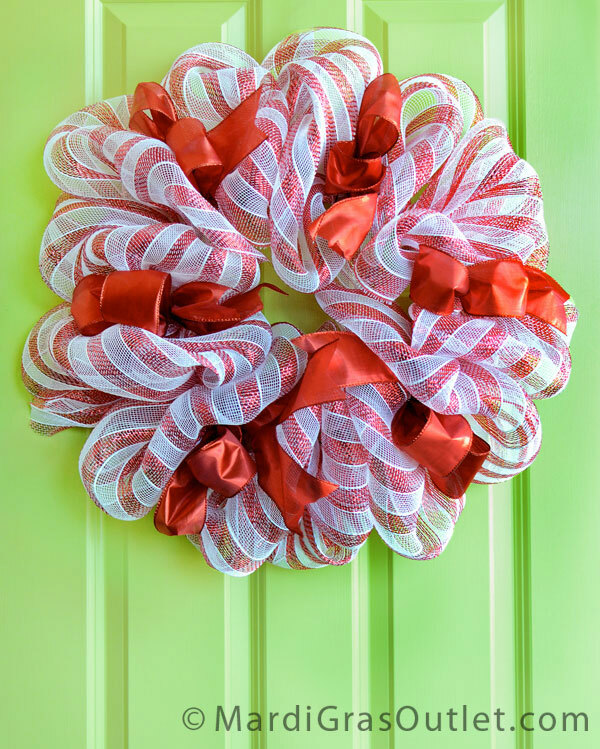 Our favorite candy cane wreath updated with new ribbon tucks. 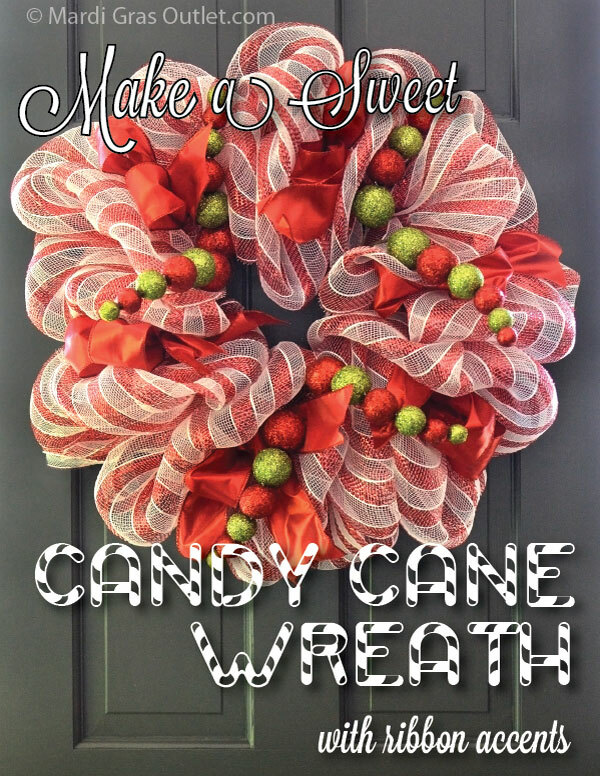 Click HERE for the original post tutorial on how to make the basic candy cane wreath. For an additional wreath look, add in glitter red and lime ball floral sprays that you can find here. 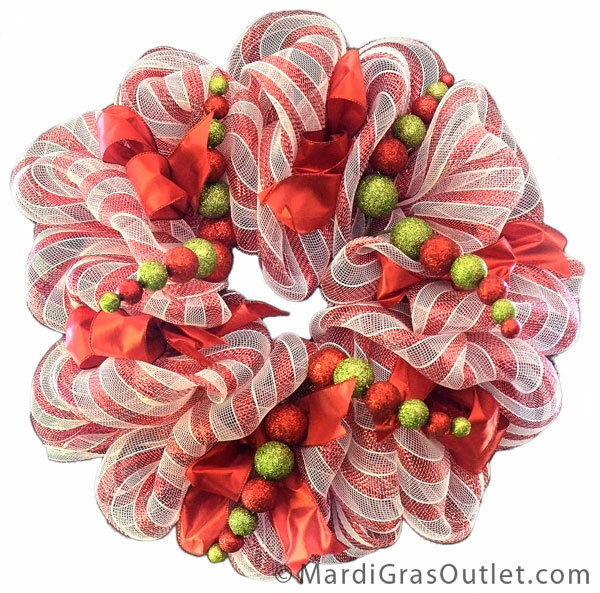 Two floral sprays are used in this version of the candy cane wreath. The 24" wreath takes approximately 6 yards of Deco Mesh. The total cost of the supplies with all accents is approximately $30 with materials left over. This candy cane striped Christmas wreath takes about 20 minutes to make. Thank you so much for your tutorials. It makes decorating fun and easy! We are so glad you liked the tutorials. We enjoy creating them! I have wanted to make one and just didnt know where to start THANKS !! Thanks for stopping by! I'll be happy to post it to your blog hop. Headed there now! We would love to see some of your Deco Mesh Designs! Let us know how they turn out if you use some of the tutorials!